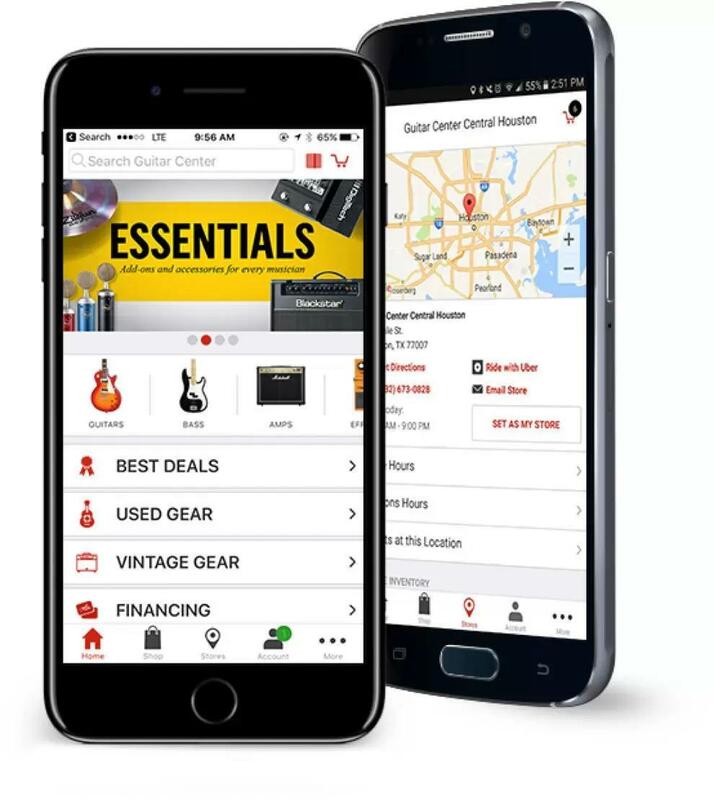 From guitars, basses, drums and pedals to lighting, DJ gear, recording software and more, our selection is everything you'd expect from the greatest music store chain in the country. With that in mind, we also have many other unique ; for instance, we have a lesson studio that features experienced instructors who teach a wide range of instruments at any skill level. We also have a certified guitar tech who's always on hand, a DJ room that's loaded with the latest controllers for you to try out, and our drum room contains the largest selection of kits in the area. Anything in particular you're interested in? Give us a call at 650-312-8270 and we'll gladly answer any questions you have. Our private lessons in guitar, bass, keyboards, and drums are available in 30 and 60-minute sessions with flexible scheduling, so you can progress at your own pace. Maybe you'd rather be the instrument - in that case, come learn more about our singing lessons. And those are only scratching the surface of the unique services at Guitar Center Lessons in San Mateo, which also include jam sessions, recording lessons, group lessons and more. Want to know what it's like to be in a band? Ask us about our Rock Show program, which connects you with other musicians at your skill level to get the full experience. Guitar Center San Mateo provides comprehensive guitar repair services for the San Mateo area. Our repair technicians are as passionate about your guitars and basses as you are, and we have the experience needed to keep them performing at their best. Whether you need a quick adjustment to make your guitar easier to play, or a complete guitar rebuild, we have the tools and know-how to take care of your instrument. Guitar Center San Mateo can also help build a maintenance plan that fits you and your guitar or bass needs, including custom setups, restrings and more. We also take care of fret repairs, hardware and pickup installations, upgrades and customizations, bone and graphite services and more. One of the newest nationwide additions to the Guitar Center family is our location at the Hillsdale Shopping Center in San Mateo. Since we've opened our doors in 2012, musicians from the Mid-Peninsula area have been arriving daily to browse our latest new and used arrivals, while aspiring up-and-comers get to hone their chops in our killer education program. Whether you're a metal shredder who wants a new axe or a DJ who's looking to make an equipment upgrade, Guitar Center San Mateo is dedicated to anyone who enjoys playing music.Boasting thousands of items that cover every taste and genre, an extensive new and used selection, lessons, repairs and much more, Guitar Center San Mateo is proud to be an integral part of the local music community. Simply put, our mission is to help you make music, and to make your shopping experience as fun as playing the instrument itself, so please stop by and say "hi" soon!